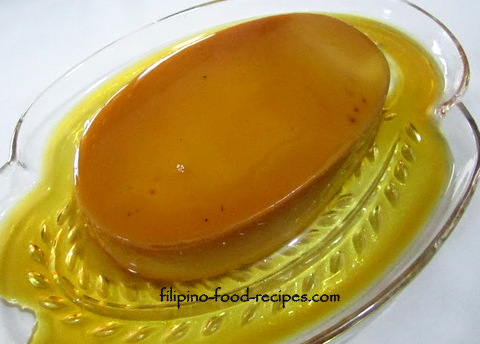 The Jelly Flan is a gulaman or gelatin-based dessert with sugar, eggs and milk. This one is for those craving for leche flan but with a limited budget! All you need are 3 eggs(just the yolks, folks! ), a can on evaporated milk, jelly and sugar! A cheaper alternative to leche flan, the look and taste are pretty close to the real thing, but it much cheaper and easier to cook. unlike the leche flan which is steamed, the jelly flan is done by dissolving the gelatin, then adding the evaporated milk and sugar, then egg yolks are tempered in the hot(not boiling) liquid. Yellow food color is added too, to be able to get the perfect color so it will look like a custard. I learned about this dessert at a dinner at my aunt's place. Theirs, though, was on the pink side(not so appetizing, I would say), because, regrettably, they have a big jar of red food color that they have been trying to use up. 1 Prepare four oval-shaped tin cans or llanera by caramelizing 1 1/2 tablespoons of sugar by direct heat on each one. Set aside. 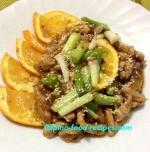 2 Using a saucepan, dissolve the unflavored Mr.Gulaman in water and heat over medium heat. 3 Add in the sugar and milk, stirring until bubbly along the sides of the pan but not boiling. 4 Remove from heat and add a tablespoon at a time (up to a cup of the hot mixture) on to the egg yolks while beating continuously. MAKE SURE THE EGG YOLK DOESN'T GET COOKED AND TURNED INTO SCRAMBLED EGGS. (This is for food safety to slightly cook the egg without scrambling so you will not be eating raw eggs). 5 Add the cup of the egg yolk mix back to the pot to heat up but without bringing to a boil. 6 Strain the mixture on to the prepared llaneras and set aside or refrigerate to set.